A shoe you can wear almost anywhere is Ros Hommerson’s sleek “Elsa” with 1½-inch wedge sole. 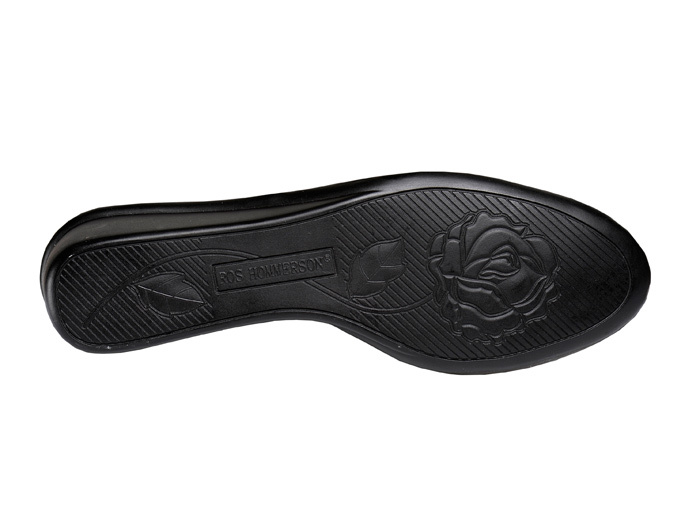 The silky black nubuck uppers have a self-securing strap with button ornament. Comfortable fabric linings and full-length Memory Foam insole. Originally $119.95; most recently $89.95. Limited stock in women's 2E width in sizes indicated.